We are excited to announce that we have 25 quick delivery homes that will be move-in ready by December 20, and a number of homes that are available immediately. These homes range from 1982 square feet to over 3500 square feet, starting from $239,900 to $500,000 in Crosswater at Pablo Bay, Yellow Bluff Landing, Eagle Landing, Two Creeks, Durbin Crossing and Nocatee. All quick delivery homes are well appointed, and will be 100% ENERGY STAR® Certified upon completion. Don’t have time to build but would like to be in a new Energy Star® Certified Providence Home by the holidays? No problem. 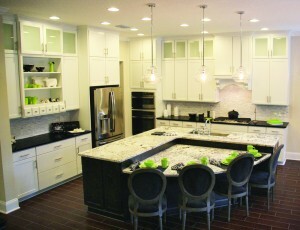 Contact Melissa Matthews at 904-337-5236 for more information on our or visit our ProvidenceHomesInc.com. What better way to ring in the New Year, than in a brand new Providence home! For over 20 years, Providence has built more than 2,500 homes for families’ right here in Jacksonville, Florida. As one of the area’s largest locally owned homebuilders, we are committed to building beautifully designed, 100% Energy Star® homes at an affordable price.